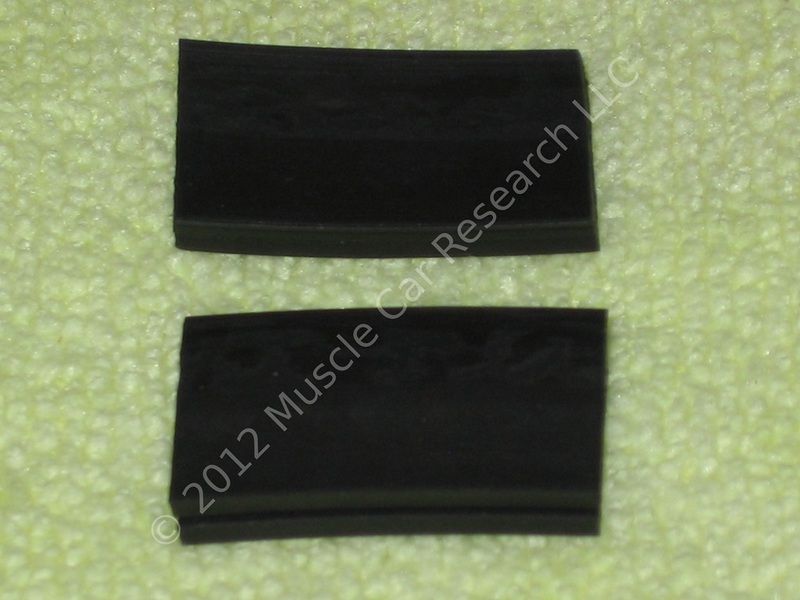 Muscle Car Research is proud to offer a brand new reproduction of the rubber pads used to isolate the center support from the rear window glass on 1969 and 1970 Ford Mustangs equipped with rear window louvers. This part is made from a 65 durometer ethylene propylene diene monomer (EPDM) rubber compound that is specially designed for heat, ozone, and weather resistance. Using an original pad as a template, each pad measures 1 1/8" long, 5/8" tall, and 1/4" wide. Each set includes the two pads needed for one car. 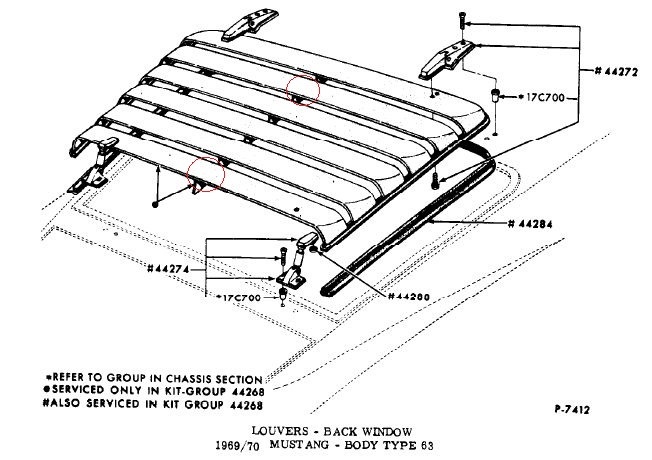 The pads are installed on the center support in the areas circled in red in the illustration below from the Ford Master Parts Catalog.